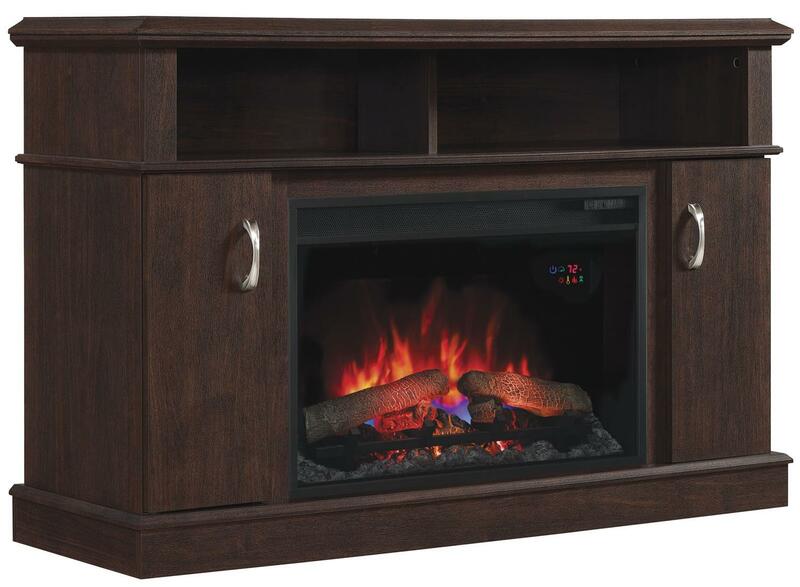 Get toasty with this TV stand with fireplace insert. This technology is perfect for anyone looking to stay warm in the cold winter months. 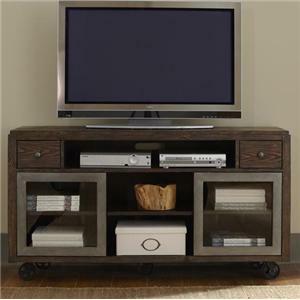 Not only does this TV stand include a fireplace, but it is incredibly functional for electronic storage. The stand includes one full length media shelf for storing electronic components, and two cabinets with adjustable shelves and integrated wire management. 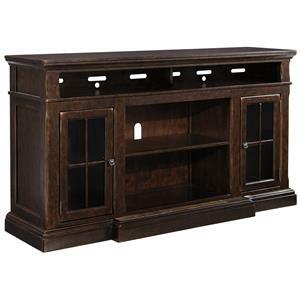 You'll love the transitional feel this storage piece will bring to your living space. The Dwell 26" Media Fireplace Mantel by ClassicFlame at Prime Brothers Furniture in the Bay City, Saginaw, Midland, Michigan area. Product availability may vary. Contact us for the most current availability on this product. 26MM5516 Media Mantle 1 47.5" 15.5" 31"
26EF031GRP 26" Fireplace Electric Insert 1 27" 9.5" 17.7"
Storage Partitioned full length media shelf for storing electronic media components, 2 side storage cabinets with brushed nickel hardware, Adjustable shelves can be readjusted or removed completely for additional storage.